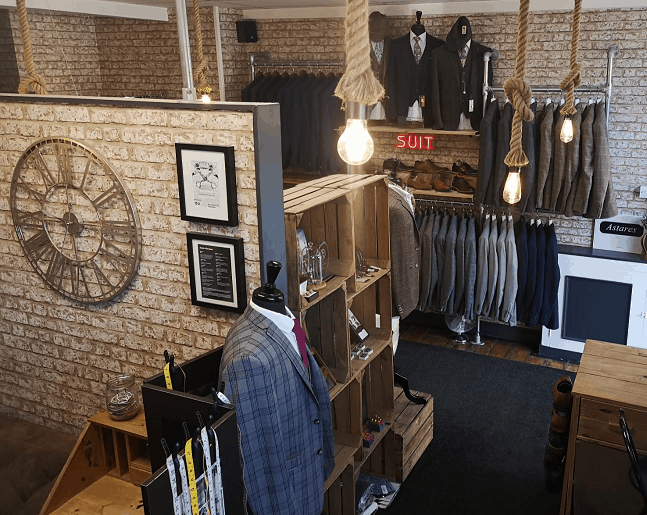 If you’re getting married and want to find the perfect wedding suit – both in style and fit – look no further than your local independent formal menswear specialist. 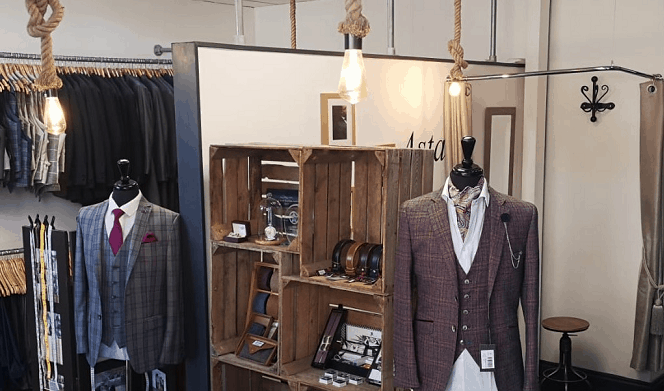 They offer a personalised service that offers consultation, expert knowledge, advice and guidance, professional measuring, a passion for mens formal wear and above all, exceptional customer service. You should enjoy shopping for your wedding suit! Let Astares take the pressure off so that you can enjoy the experience! For us, it will always be about service. Whether you engage with us in store or order online, we guarantee you outstanding customer service and support. 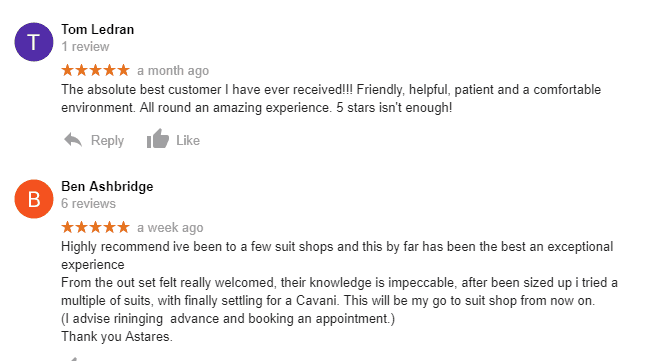 We offer a free consultation during which time we’ll chat through your requirements and pick out a few suits to try on. After this initial appointment, we move on to the fitting service. This differs from the consultation as it’s a time when we focus in on getting the fit of your chosen suits (remember your groomsmen!) absolutely spot on. The ‘final fit’ takes place 4-6 weeks before your wedding and is an essential part of the service. It gives us the opportunity to make any final tweaks or adjustments and most importantly, gives you the confidence to put your best foot forward with your groomsmen! Every member of the Astares team is highly trained and experienced, not to mention passionate about helping gents discover the suit of their dreams. Don’t leave your special day to chance, avoid the high street and embrace your local independent – we can say with total certainty that you won’t regret it. Preparing for a wedding can be a stressful time, so why not let us take off some of the pressure? We go above and beyond to help you enjoy every moment you spend wearing your stunning suit on your special day.